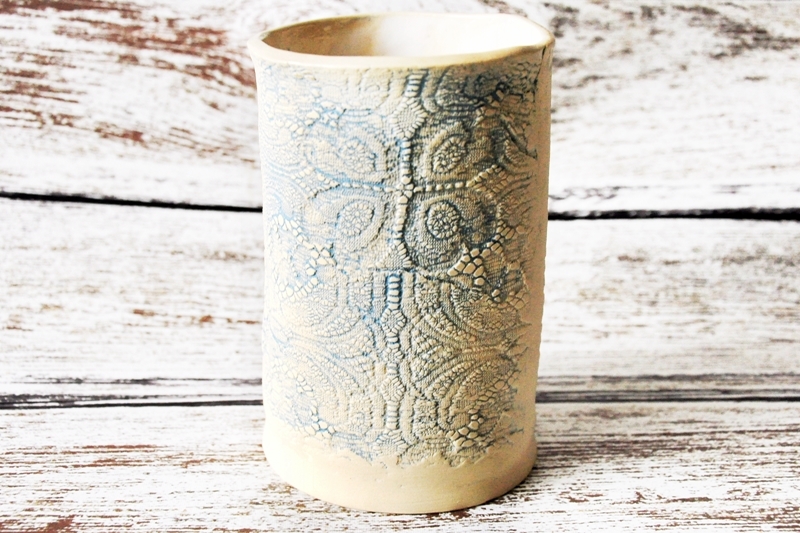 One of a kind stoneware vase or utensil holder, glazed inside with a matte oxide wash on the outside. It has a lovely texture created from fabric impressed into the wet clay. Measures 5" (12.7 cm) high.